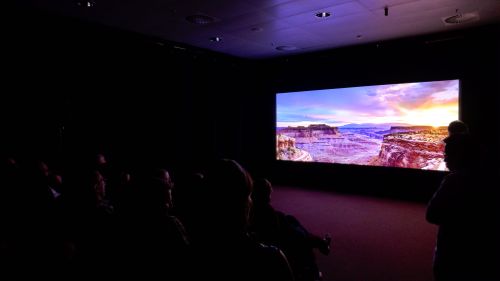 In June, Alcons Audio and Sony Digital Cinema return to the annual CineEurope show to once again showcase the best in cinema sound and vision. CineEurope is the official convention of the International Union of Cinemas (UNIC), with the 2018 event taking place from June 12th - 14th at the Centre Convencions Internacional Barcelona (CCIB), Spain. Both highly regarded names in the cinema industry, Alcons Audio and Sony Digital Cinema have just enjoyed a widely praised presence at the annual Kino Kongress in Baden-Baden, Germany, where their equipment delivered the sound and projection in the main auditorium. An Alcons Cinemarray pro-ribbon system has also recently been installed in the Lichtburg, Essen - Germany’s largest premiere cinema - so it is an appropriate time for CineEurope visitors to be able to again hear for themselves why Alcons pro-ribbon systems are so well-renowned in the cinema industry. Alcons and Sony are teaming up in Demo Room 134 - Level P1 at CineEurope, where an Alcons CRMS Cinema Reference Monitor System will deliver the perfect 5.1/7.1 format audio complement to Sony’s HDR-capable SRX-R815P 4K laser phosphor projector. 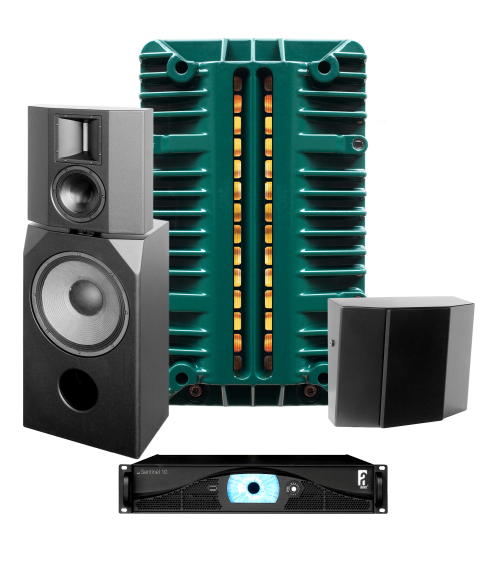 The Alcons system will comprise three CRMS mkII, with a CB181 shallow subwoofer system and four brand-new CRMSC-SRHV Compact Format Reference Surround loudspeakers, powered by three Sentinel amplified loudspeaker controllers. Designed to deliver unique 1:1 reproduction in literally any space - from a home cinema up to a 40,000 seat stadium - Alcons pro-ribbon systems combine outstanding reproduction quality with exceptional digital dynamics. The ideal choice for premium theatres, high-end mix/screening rooms, post-production facilities and dubbing stages, Alcons systems are used by many leading names, including VUE cinemas Europe, Lucasfilm, Walt Disney, NBC Universal, Google / YouTube and leading Hollywood and UK post-production studios. “We are very pleased to work with Sony Digital Cinema again to bring a truly memorable experience for visitors to CineEurope 2018, demonstrating why Alcons is seen as cinema’s most innovative sound system manufacturer” says Alcons Audio co-founder Tom Back.